The study, performed by scientists from King’s College in the UK and University of Caen, France, took two years. They designed it to evaluate a realistic situation where exposure is to the formulated product, not the active ingredient (glyphosate) alone. They gave a group of rats water contaminated with a small amount of Roundup, while the control group was given clean water. The researchers found that when the rats were young, the effects were not significant, but as the rats aged, the ones consuming Roundup developed liver disease much more than the control group that drank clean water. We should caution that the sample size was small (10 rats in each group), and the researchers themselves point out that they cannot be certain that the effect carries over to humans. Nevertheless, it’s certainly another reason for caution, and a lot of sites concerned with chemicals are picking up the news. 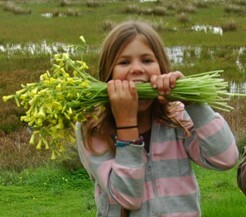 For example: The Organic Consumers Association. In collaboration with the activist group Rev. 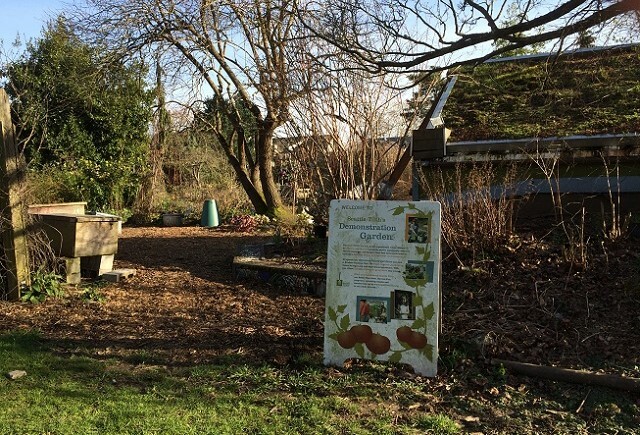 Billy and the Stop Shopping Choir, the San Francisco Forest Alliance has published an online interactive map to show San Francisco citizens how carcinogenic glyphosate (commonly sold as RoundUp) is used in parks and playgrounds. 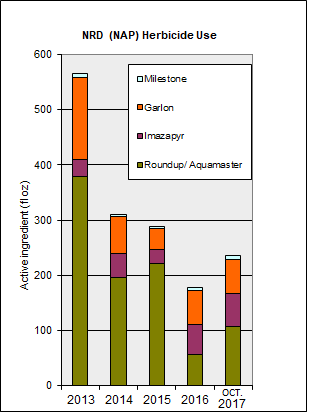 It shows where glyphosate has been sprayed in our parks in 2014 and 2015. Monsanto’s RoundUp and its key ingredient glyphosate, are major weapons in the San Francisco Parks Department’s arsenal of herbicides. Meanwhile, scientific evidence that glyphosate is toxic is approaching the level of scientific consensus. The International Agency for Research on Cancer (IARC), the specialized cancer agency of the World Health Organization said (March 2015) says glyphosate is a probable carcinogen to humans. Scientific studies have found glyphosate to cause non-Hodgkin’s lymphoma and other cancers, birth defects, and celiac disease, allergies, asthma, chronic fatigue syndrome. 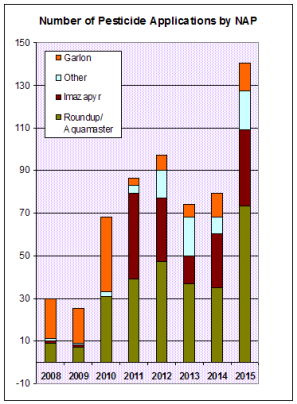 Glyphosate is persistent in body tissue, blood and breast milk in humans. The non-profit organization, Moms Across America, claims exposure to RoundUp has cause pregnancy problems, including stillbirths. We are asking the SF Dept. 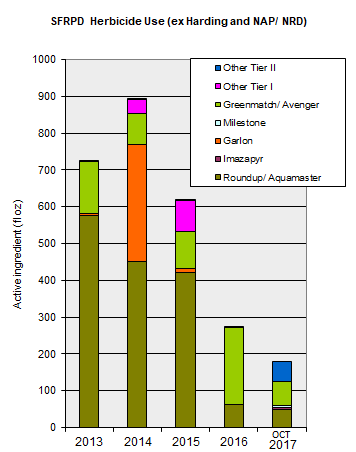 of Environment to remove Tier I and Tier II herbicides (especially Roundup/ Aquamaster and Garlon 4 Ultra) from the 2016 Reduced Risk Pesticide List, without exceptions. The map data is based on information for 2014 and 2015 that we obtained from San Francisco Recreation and Parks Department (SFRPD) under the Sunshine Ordinance. 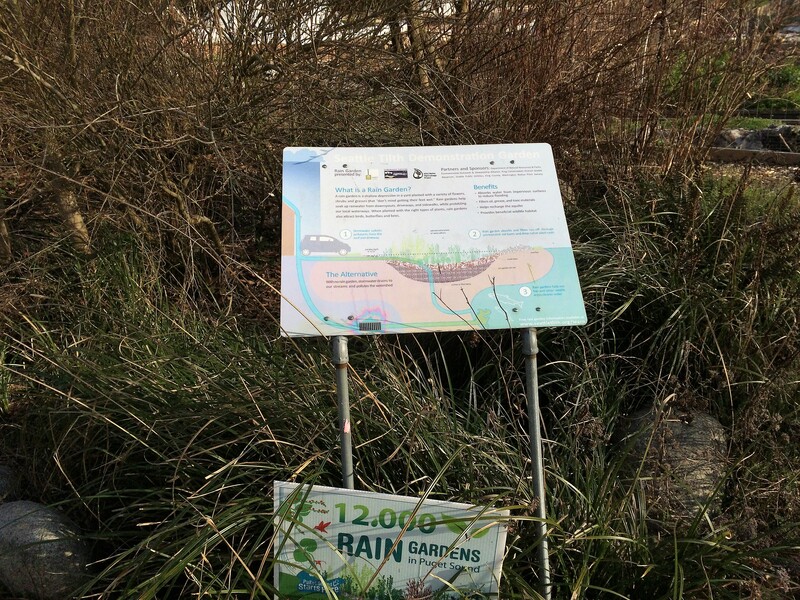 It covers all lands managed by the SFRPD, including parks, playgrounds, and Natural Areas. (It excludes Harding Golf Course, which does use glyphosate regularly, because it’s managed under contract by the PGA Tour and is required to maintain tournament-readiness at all times.) 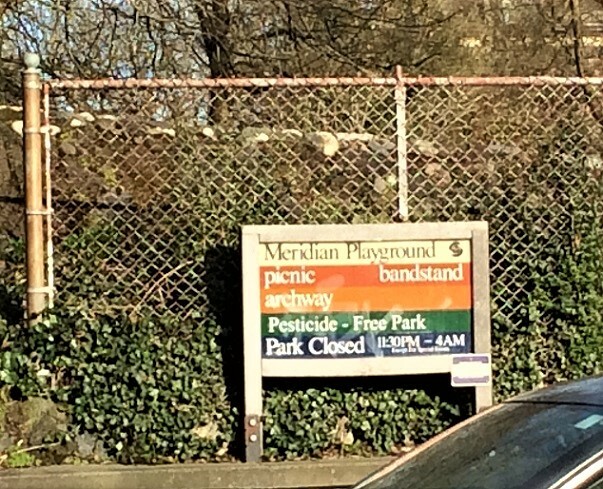 The locations are as accurate as we could make them based on the data SFRPD provides; they identify the parks but may not indicate the precise spot where the pesticide was applied. We collaborated in the making of the map with Rev. Billy and the Stop Shopping Choir, an organization of satirical activist performers protesting the evils of consumerism. They first created a glyphosate use map for New York. This map of San Francisco is their second, and they plan to extend it to other Bay area counties. Rev. Billy will be in San Francisco in April 2016, doing a reading from his new book, The Earth Wants YOU! on April 20, 2016 at 7pm – 9pm at the City Lights bookstore, 261 Columbus Ave, San Francisco, CA 94133. “During the week of April 18th, Reverend Billy, who resided in the Bay area for more than twenty years, will levitate the DeYoung Museum, one of the sites of where the San Francisco Parks Department applies deadly glyphosate. He will exorcise the world-renowned bastion of high culture and give it a good spiritual scrubbing with local activists. The Pesticide Application Notice says that the application method will be “spot treatment/daub cut stem.” This does not seem to be an accurate description of the application method on November 19th. It seems that “backpack sprayer” would be a more accurate description of this particular pesticide application. The Pesticide Application Notice says that Himalayan blackberries were one of the targets of this Pesticide Application. As you know, birds and other wildlife cannot read the signs that are posted to warn the public about these applications. Can you assure me that the Himalayan blackberries were no longer fruiting? Does the Recreation and Park Department have a policy against spraying vegetation when there are fruits eaten by birds and other wildlife? If not, would the Recreation and Park Department consider adopting such a policy? 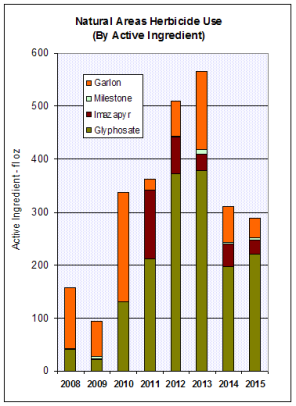 Although Garlon was not used in this particular pesticide application, it is often used in San Francisco’s so-called “natural areas.” Therefore, it is worth mentioning that Garlon is also known to be mobile in the soil and there are documented incidents of it damaging non-target trees when it has been sprayed on the stumps of nearby trees after they were destroyed. Thank you for your consideration. I hope you will share my concerns with the staff and contractors who are engaged in these pesticide applications. This is not an isolated incident. 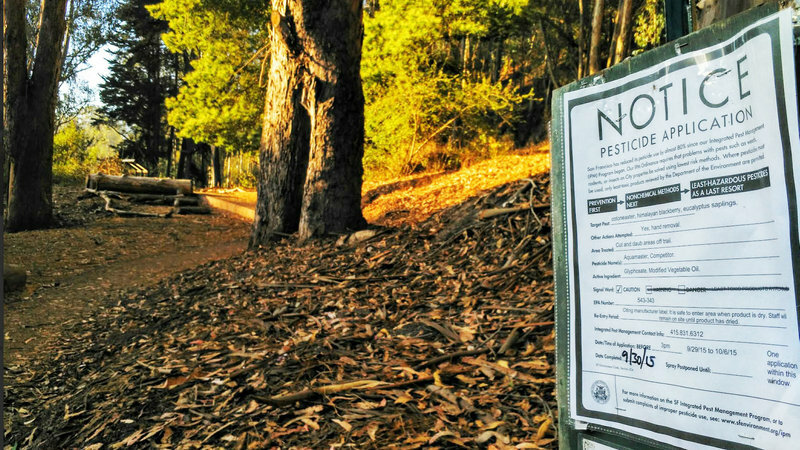 Park visitors in San Francisco have been complaining for years about pesticide use in parks that were designated as “natural areas” over 15 years ago. Ironically, those areas were never sprayed with pesticides before being designated as “natural areas.” In fact, they really were natural areas prior to being officially designated as such. 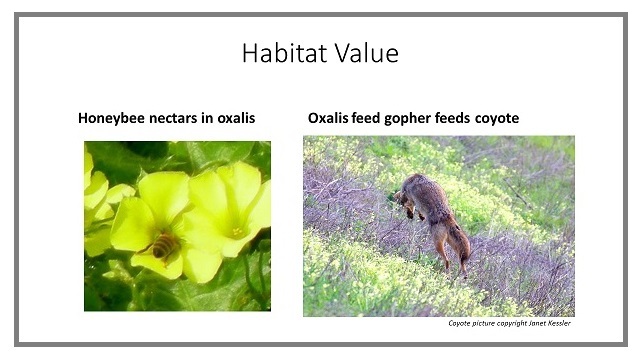 Plants and animals lived in peace in those places before being “managed” by people who are committed to eradicating all non-native plants in many of San Francisco’s parks. Wednesday, December 16, 2015 Downstairs Conference Room, 1455 Market St. (near 11th St.; Van Ness MUNI stop)” The meeting agenda is available HERE. You can apply for one of the two vacant seats on the Environment Commission. These seats have been vacant for nearly a year. In the past, the Environment Commission has actively promoted pesticide use in San Francisco’s “natural areas.” Qualifications and duties of commissioners are available HERE. Appointments to the Environment Commission are made by Mayor Ed Lee. 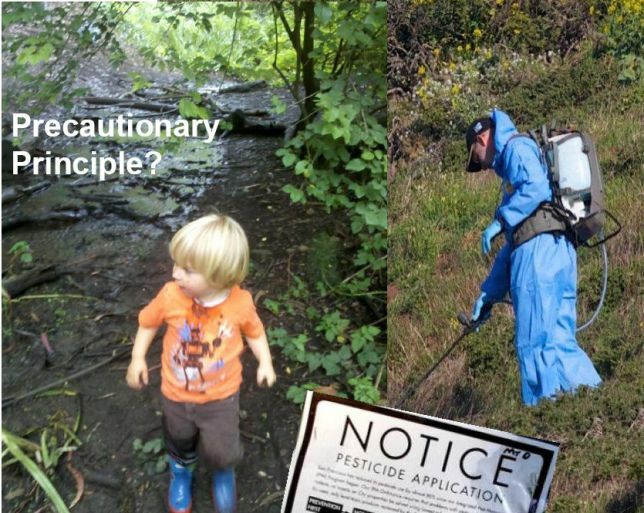 If you don’t want to serve on the Environment Commission, you can write to Mayor Lee (mayoredwinlee@sfgov.org) and ask him to appoint people to the Commission who do not support the use of pesticides in San Francisco’s public parks. The parks of San Francisco belong to the people of San Francisco. They have paid to acquire those properties for public use and they are paying the salaries of those who are “managing” the parks. If you don’t like how parks are being managed, you have the right to express your opinion. Our democracy works best when we participate in the public policy decisions that affect us. What does this have to do with the East Bay? Our readers in the East Bay might wonder what this incident has to do with you. 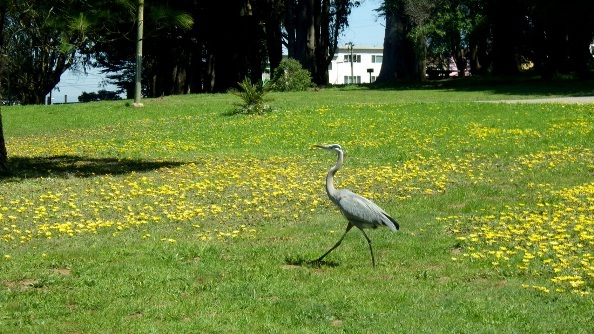 Parks in the East Bay are also being sprayed with herbicides for the same reasons. 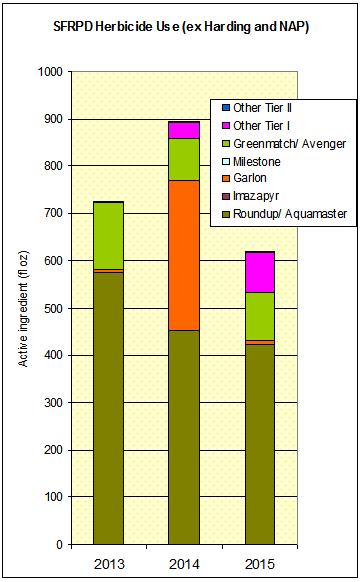 HERE are reports of pesticide use by the East Bay Regional Park District. Many of the pesticide applications on the properties of EBRPD are done by the same company that sprayed herbicides on Mount Davidson on November 19, 2015. 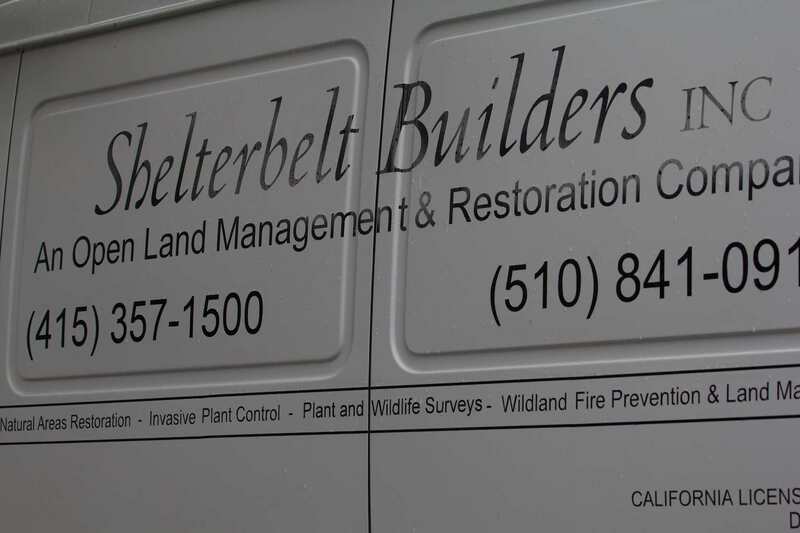 That company is Shelterbelt Builders. You can see their trucks in the above video. 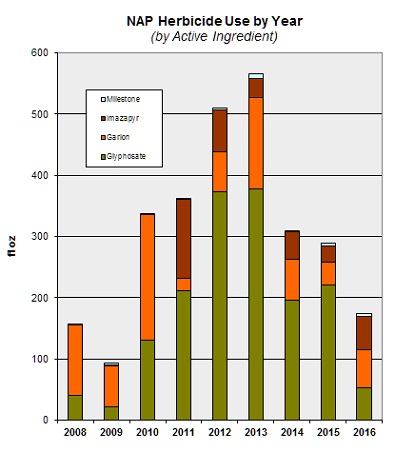 Pesticide use reports of San Francisco’s Recreation and Park Department often report that pesticide applications were done by Shelterbelt. The Claremont Canyon Conservancy held their annual meeting on November 15, 2015. Oakland’s Mayor, Libby Schaaf, was one of the speakers. Although she took questions at the end of her presentation, one of the officers of the Conservancy called on the questioners. There were many people in the audience who are opposed to the FEMA projects that will destroy over 400,000 trees in the East Bay Hills and many of us tried to ask questions. With one exception, the person controlling the questions only called on known, strong supporters of the FEMA project. Therefore, those who wished to express their opposition to the FEMA projects to the Mayor were denied that opportunity. 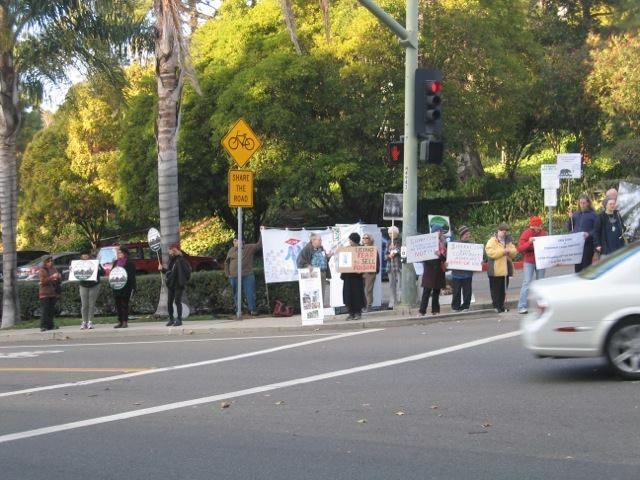 Fortunately, there were many demonstrators outside the meeting who could not be denied that opportunity. 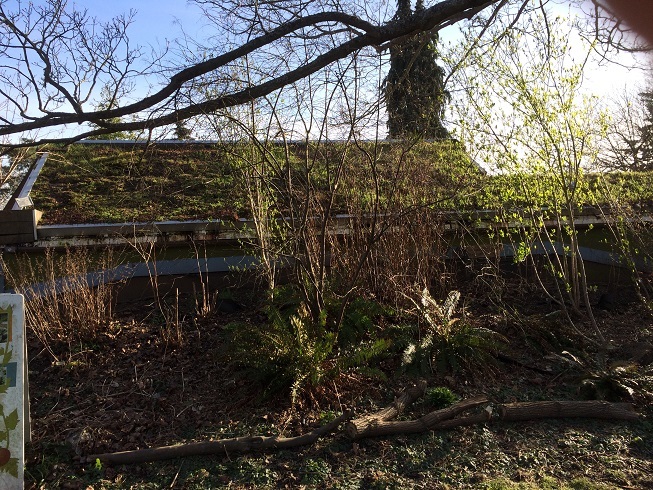 “Part of the FEMA program will be to use herbicides in a concentrated, careful program of painting or spraying herbicides to prevent the trees from resprouting. It may need to be done more than once but ultimately the suckers give up. There is no other way to do that cost effectively. People are saying that glyphosate causes cancer. Radiation causes cancer but when people get cancer they are often treated with radiation. Nobody tells them they can’t have radiation because it causes cancer. You must take dosage and exposure into consideration in evaluating the risks of pesticides. Nature Conservancy used glyphosate on the Jepson Prairie. State Parks used Garlon on Angel Island when they removed eucalyptus. The European Union says that glyphosate does not cause cancer, so I don’t know if it does. I’m not going to take a position on that. Now they are saying that red meat causes cancer. We leave it to our readers to interpret Mr. LaForce’s justification for pesticide use. He seems to be suggesting that pesticides are good for our health. 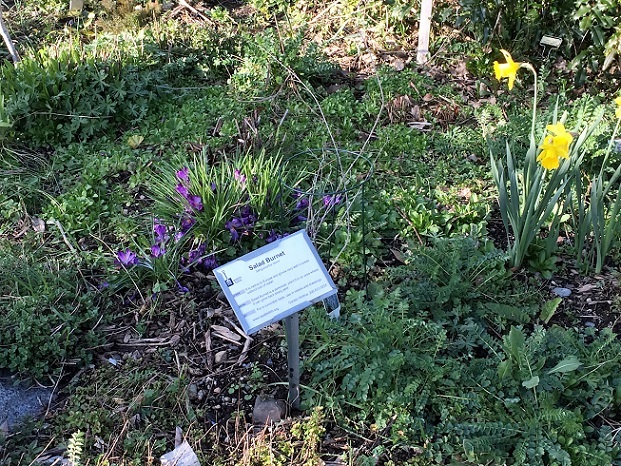 There are instances in which pesticides do more good than harm, but using them to kill harmless plants in public parks isn’t one of them, in our opinion. Since many chemicals accumulate in our bodies throughout our lives, it is in our interests to avoid exposure when we can. If we must take Coumadin for our health, that’s all the more reason why we should avoid unnecessary exposure to rat poison when we can. Pesticide applications in San Francisco are probably damaging the trees that are not the target of those applications. 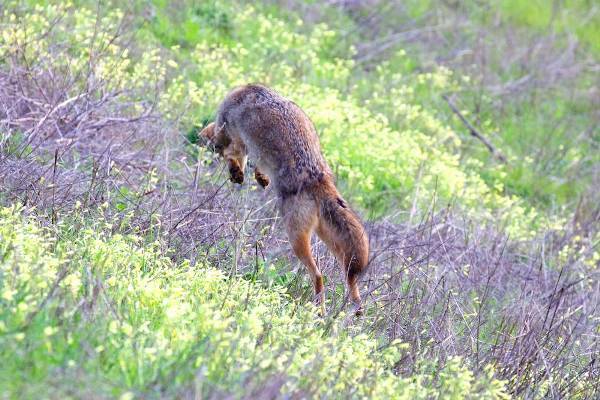 The food of wildlife may be poisoned by those pesticide applications. 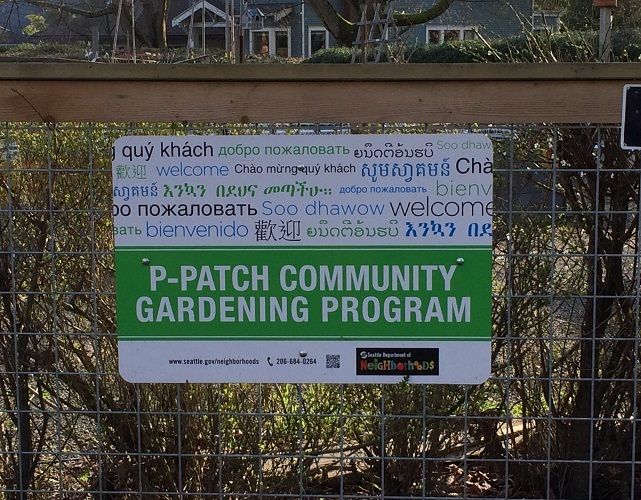 You can influence the public policy that is permitting pesticide use in San Francisco. The same company that is spraying pesticides in San Francisco is also doing so in the East Bay. The Sierra Club is actively promoting the use of pesticides on our public lands. *Coumadin is prescribed for people who are at risk of heart attack or stroke caused by blood clots. Coumadin thins the blood and suppresses blood coagulation. Rat poison kills animals by bleeding them to death. There is a fine line between preventing blood clots and bleeding to death. Therefore, people who take Coumadin have frequent blood tests to check that the dosage is at the optimal level. Rat poisons are killing many animals that are not the target of the poison. Animals such as owls, hawks, vultures are often killed by eating dead rodents that have been poisoned. We should not conclude that rat poison is harmless because humans are using it in carefully controlled doses. Herbicides being sprayed in our public lands are not being closely monitored as Coumadin use is.